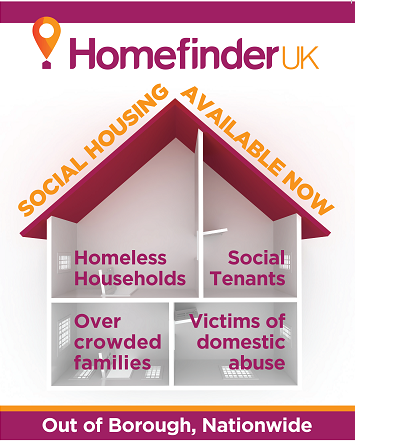 Homefinder UK is a national housing mobility scheme available to social housing landlords right across the UK. Delivered by Home Connections, this web-based housing mobility service enables applicants to look for homes nationwide or at least 100 miles outside their local authority area. Full access to the scheme and the Case Management service is given to the home seekers of subscribed local authorities and housing associations. Since launch in winter 2013, Homefinder UK has successfully helped many families to find new homes. To date over 22,000 households have registered for the service seeking a home. Currently, social landlords can advertise any immediately available properties on Homefinder UK for free. The service provides options to find an immediately available home anywhere in the UK. Homefinder UK staff provide case management services to engage directly with home seekers in order to broker the move. Uniquely, Homefinder UK now comes with our built-in Homelessness Reduction Act (HRA) software called HOPE, meaning you can manage homeless prevention cases and your Homefinder UK applicants in one place. We are currently running a special offer: purchase both the Homelessness Reduction software HOPE to manage applicants on your own database and the Homefinder UK service and get a discount, contact us for further information: landlords@homefinderuk.org. Properties are made available by landlords and advertised at any time. Uniquely, the service also offers mutual exchanges through integration with House Exchange and thereby gain access to the national Homeswap Direct service. By registering on Homefinder UK, households are able to see all immediately available homes and mutual exchanges in the areas they wish to live. The service is delivered by Home Connections in partnership with House Exchange, part of the Clarion group. Homefinder UK is funded by local authorities and housing association partners whose tenants get access to the scheme as well as House Exchange free-of-charge. To find out more about how a partnership with Homefinder UK can benefit your organisation and your tenants, contact our team on 0207 619 9705 or email landlords@homefinderuk.org.